Today, Google unveiled 2 incredible new Nexus Phones, Nexus 6P and Nexus 5X, both coming with Android Marshmallow loaded and ready to go, and Project Fi was not left out of the party. Both of these devices, it was announced today, will be fully compatible with Project Fi and be available for purchase both on the Google Store and at Project Fi during signup. It is expected that these devices will ship out towards the end of October. 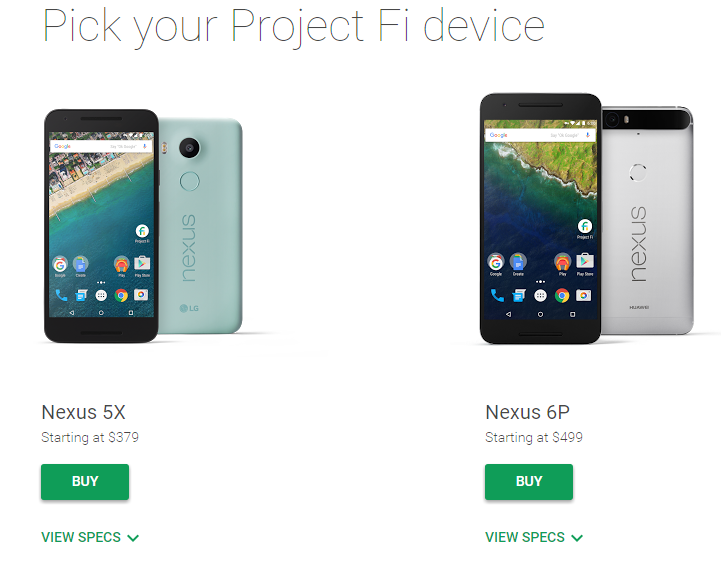 It should be noted that Project Fi will also match the $50 gift card being offered by the Google Store. 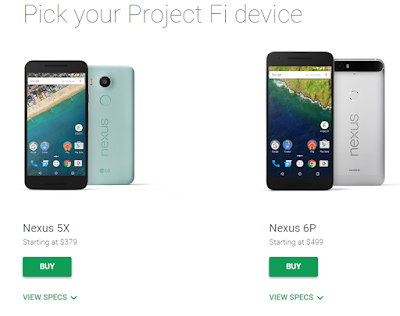 New and current Fi users will get 50% off of a case for the 5X or 6P from the Google Store. Those that place a pre-order will receive the discount code via email.